Known as one of the most pristine beauties in Vietnam, Co To (Cô Tô) island is situated in Quang Ninh (Quảng Ninh) province. From Hanoi, you could take a bus at My Dinh (Mỹ Đình) bus station to go to Van Don (Vân Đồn) every one hour, from the early morning to 5:30 pm. Or, you could take a bus at Cam Pha (Cẩm Phả) or Ha Long (Hạ Long) station before getting on Mong Cai (Móng Cái) bus near Bai Chay(Bãi Cháy) bridge in order to reach Cua Ong (Cửa Ông) Market. After that, in the morning, you could take a boat to travel to Thanh Lan (Thanh Lân) Island, which is a small one close to Co To Island. Those tourists who have never visited Co To might hardly imagine how charmingly beautiful and fascinating it is. 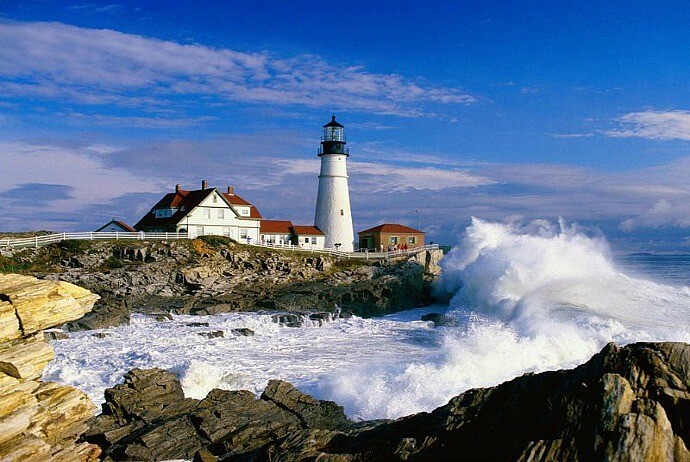 Coming to Co To, travelers will not only have an opportunity to become just one with the nature in a fresh and relaxing environment of the blue clean seawater, but also be able to visit impressive lighthouse of Co To, primitive forests, Co To pier, Ho Chi Minh’s monument, natural reefs, fishing villages and islets. This article will expose to you some of the most worth-visiting destinations in Co To Island. This is one of 30 “sea-night eyes” operating around the waters territory of Vietnam. The lighthouse was built in the late 19th century. To climb the lighthouse, tourists have to get over the steep bends, then climb 72 stairs to reach the top of the lighthouse. From here, you could comfortably take in the panoramic views of Co To island, from the dreamlike beautiful beach town, green trees, to simple but peaceful roofs. This is a paradise that everyone coming to this island could not ignore. Cau My is located in the south of the big Co To island. 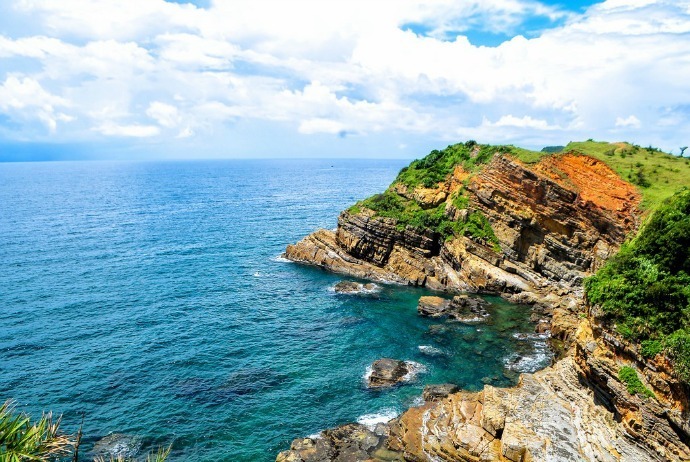 Cau My with sedimentary rocks eroded over thousands of years by the seawater, creating a rare wonder in compared with other famous islands of Vietnam. The special tectonic of rock and water make up the special landscape of Cau My rock reef. The rock layers appear clearly with many colors when you set your foot on. The rocks cascade on each other, have many colors and shapes, making the area a vivid picture of the tectonic process of the Mother Nature. Visiting Co To, tourists often contemplate Cau My when the sun comes down. 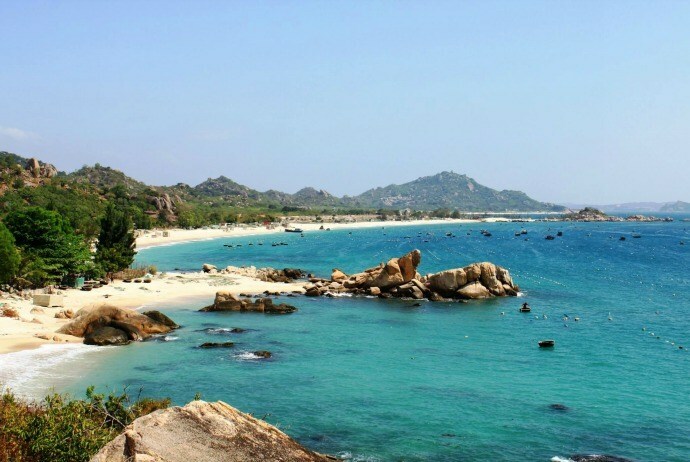 When visiting Co To, you will be attracted by pristine, stunning beaches here and Hong Van is one of such destinations. Island, Hong Van beach is calm and smooth with waves freaking like such in the lake because there is Thanh Lan (Thanh Lân) island shielding the wind blowing in from the sea. The soft sandy beach with clear blue seawater here will definitely make tourists hesitated to leave. 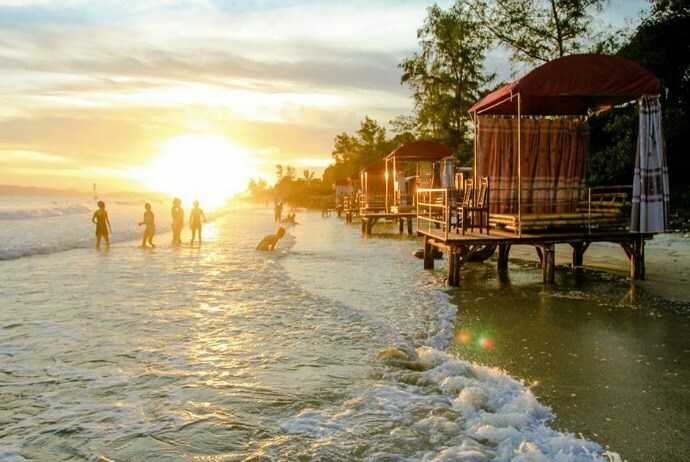 To catch the dawn, Hong Van beach is an ideal choice. Situated at the end of the island, there is a beautiful Van Chai beach, nestled on the seaside with stretching fine sand, seductive freaking waves. In particular, the seawater here always has a blue color which changing into different shades of blue when there are small waves. Traveling to Co To, you will surely hear about the romantic street named Love Road. This is a street of 2km long and located about 100 meters away from Co To town with green populus trees at two sides. 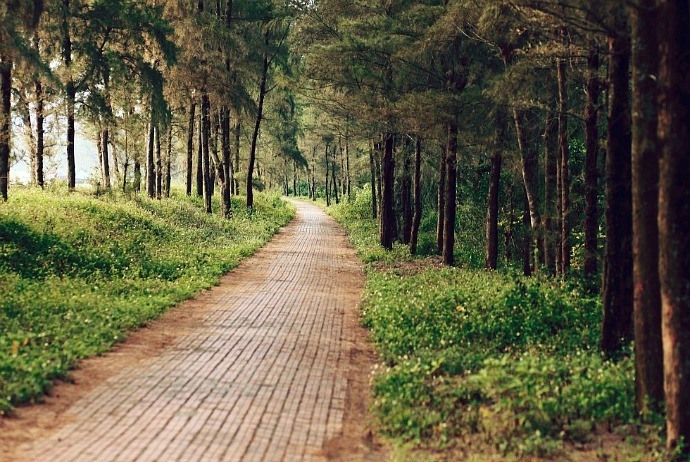 It is called Love road because when strolling here, regardless of walking or cycling, it still brings a romantic feeling. Here, you can listen to the whistling sound of the populous trees, the rattling sound of the waves, the scene of green forest, the yellow color of the sun, the red of tiles which are not as romantic as Korean dramas. This is an uninhabited island and attracts tourists the most among other islands of Co To due to beautiful pristine beaches. The small Co To Island is about 1km far away from the big one. Tourists do not need to apply for a license and could rent a wooden boat to go the small Co To Island with the traveling time of 25-30 minutes. Each boat can carry about 12 people. Here, you could try sleeping in the tents on the beach, which brings an interesting feeling for those who love to experience something new. 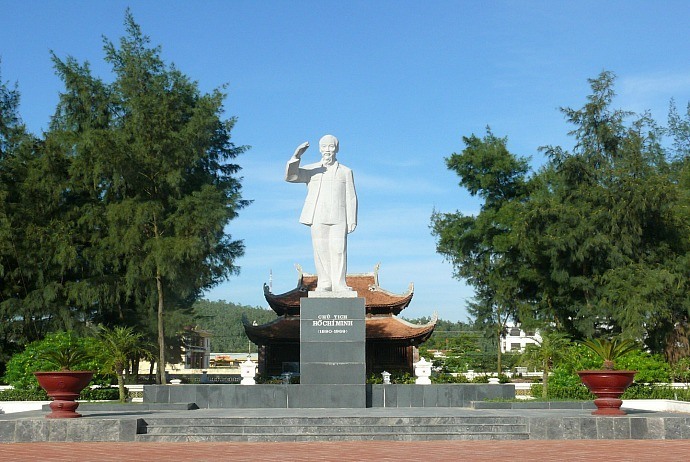 Situated in the town center, next to the Love road it is the single monument agreed to establish by Uncle Ho after his visit to Co To in May 9, 1961. At the weekends and festivals, there is a venue for cultural exchange in order to serve both local people and tourists on the island. The beach is located just outside of the island. It is 15km in length running through the last point of the island. This is a main beach of locals and also the most crowded beach. 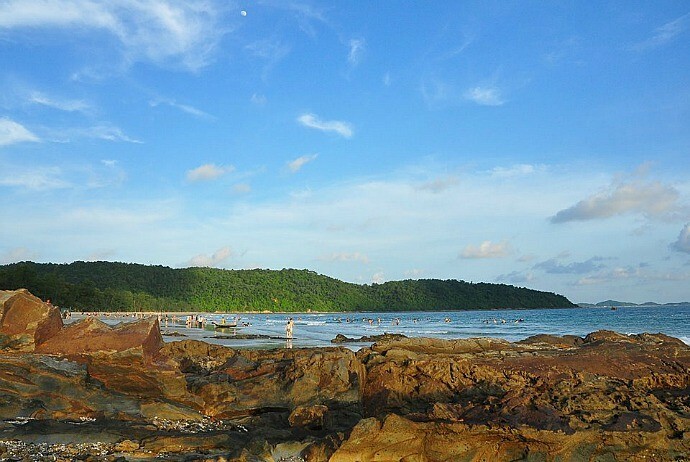 The beach has white sand framed by the green casuarinas forests along with the paved road running along the coast. 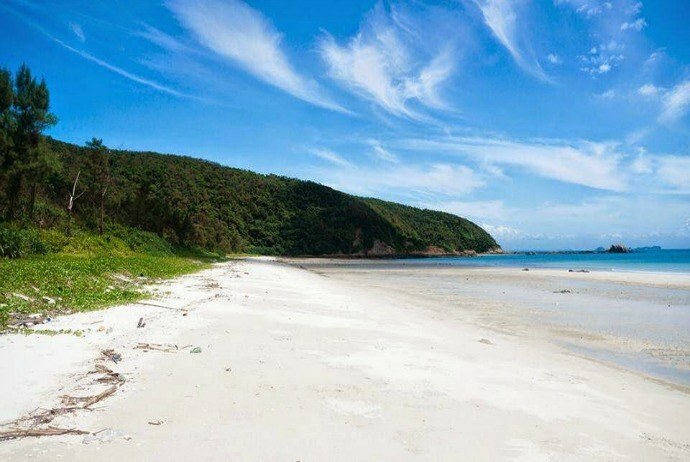 At this beach, there is an erected monument of Uncle Ho commemorating the day he visited the island. Maybe, because of that reason, this beach was named Uncle Ho Beach, which is the favorite beach of people on the island as well as the most beautiful spot for contemplating sunrise.